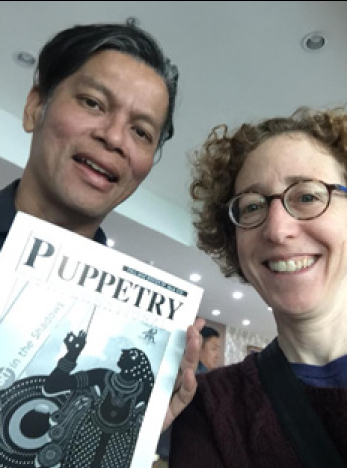 Claudia Orenstein (former UNIMA-USA Board Member and frequent PI contributor) traveled to Thailand in January of 2018 for the Korat International Youth Puppet Festival. 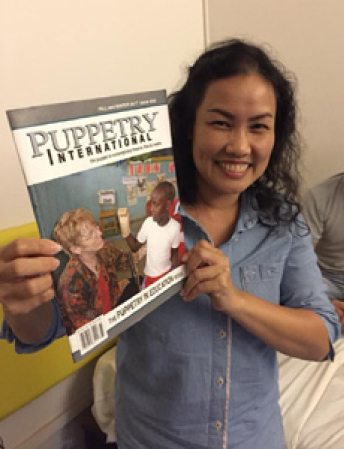 You can read about her time there in the new issue of PI (#43, Puppetry and Therapy), or, if you are a UNIMA-USA member, you can now read the current issue of PI on your computer, smart phone or other connected device. 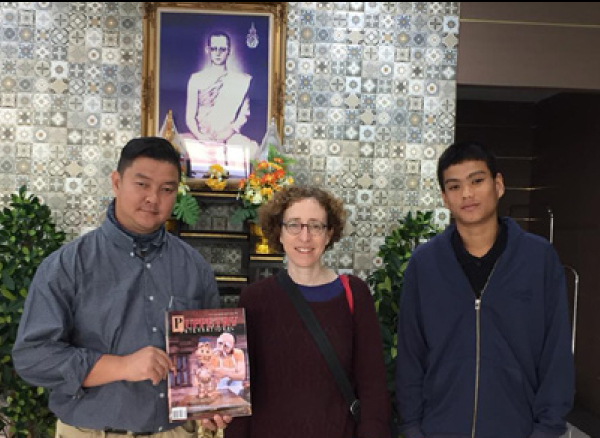 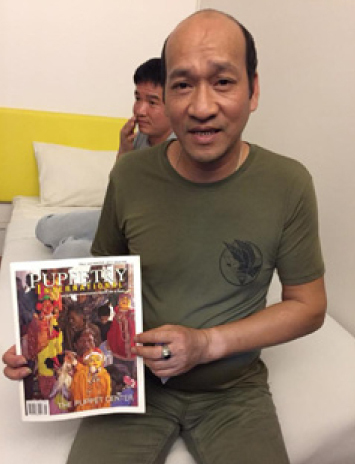 While she was at Korat, she instigated the “PI Challenge” – giving back issues of PI to puppeteers from all over Asia. 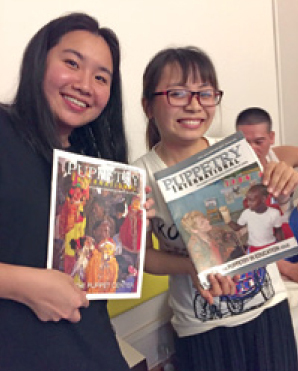 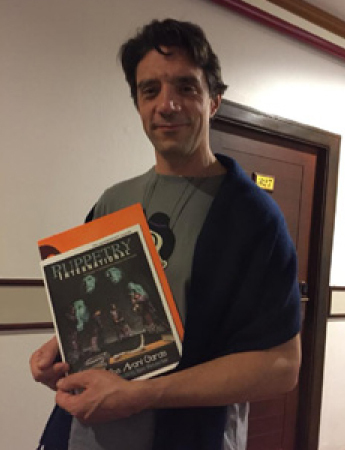 Thank you for spreading the word, Claudia!